As Mac users, we’re spoiled when it comes to managing our tasks. There are several cross-platform and web-based task management tools we can use. But, even better, this is a category of apps that are well-represented by Apple developers. In fact, the options are plentiful enough that choosing just one productivity app to use is not easy. And for those of us who naturally focus more on process than outcomes, it can be downright debilitating to land on the best productivity app. There are a couple of factors to keep in mind when choosing the best productivity app for Apple users. First, thanks to the focus from development teams, this has been a competitive space. Teams like the OmniGroup and Cultured Code have taken turns making the product of choice for many app users, and we’ve all benefited from having more than one option. Second, how knowledge workers manage their work has had a lot of attention. Since David Allen first published Getting Things Done in 2001, personal productivity became a household term. However, over the past 17 years, there have been numerous other types of “systems” and methods shared online. It turns out that not all knowledge workers care for GTD’s long list of lists and specific processes. As a result, there are a lot of other styles of tools available to choose from today. Some folks make a case for ditching your task manager and using the calendar instead. Others swear that habits are more important than goals and projects. And no matter what system you use, Pomodoro timers can help maintain your focus and energy levels while you work. And let’s not forget the resurgence of pen and paper — do you bujo? Choosing a tool to meet your needs in 2019 requires a level of self-awareness about how you do your best work. In many ways, our list of criteria has not changed much since 2014 when we first published our recommendation for this space. A task manager needs to be easy to get our ideas into, it should offer several organizational options, and it needs to be available on all our devices. However, other considerations have melted into the background. Do we need to look for apps that offer syncing? It’s pretty much a solved problem now and implicit in all our favorite tools. And although some of the newer alternatives to this space deserve a look, our recommendation will be limited to those tools that are genuinely focused on managing projects and tasks. Here are the criteria we considered in more detail. 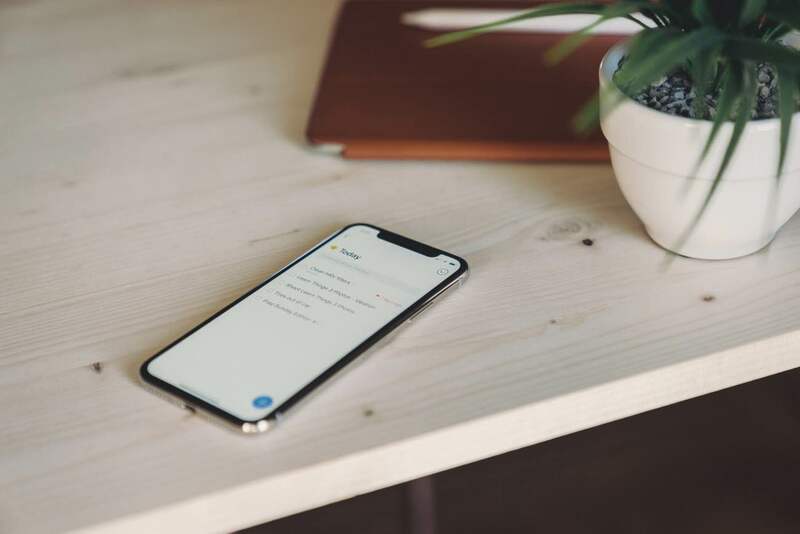 Easy input: no matter what productivity method you practice, getting tasks, reminders, and ideas into your system must be as smooth and frictionless as possible. Multiple types of work: a good task manager handles everything from large complex projects, to smaller projects, to single recurring tasks. While how you focus your time may be better suited to using a calendar, we still need a place to document all the required tasks for a specific goal. Various methods of view: the best task managers allow the user to configure a view of their tasks that fits their needs. This is a tricky one as we don’t want too much customization, lest we succumb to fiddling. Still, some flexibility is required. Flexible organization: not everyone needs tags or folders, but for those who do, it’s usually essential. The ability to document: this may be a factor that not all people consider, but documentation is a need in this space. Much of the work we do as knowledge workers requires some related information. If our task management tool allows us to include resources and commentary, that is a vital addition. Otherwise, we need to store all that information in another location. Aesthetics: while function is more critical, with two equally capable options, form can play an important factor. We want to want to use our tools! We considered the following productivity apps when coming up with our recommendation. 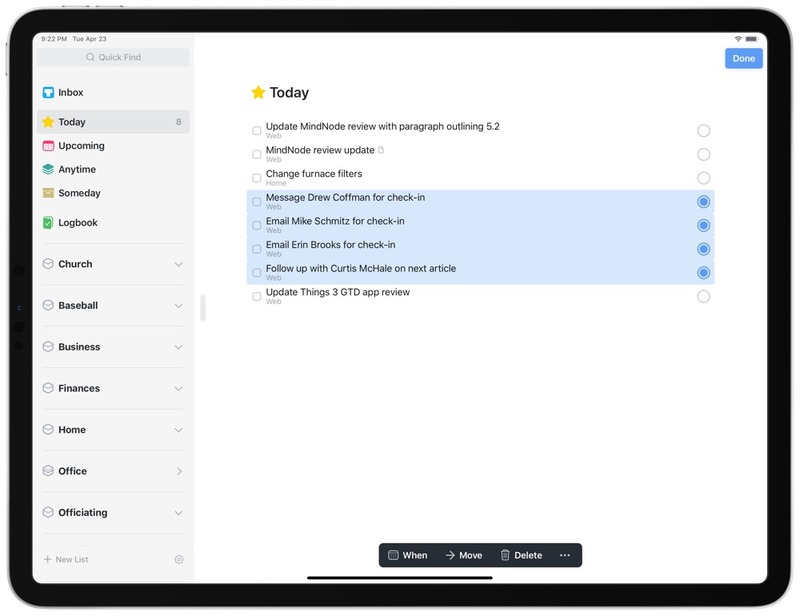 OmniFocus (Mac/iOS): as our previous recommendation, the most powerful of all the GTD-esque Mac apps is at the top of our list. It continues to offer the highest level of customization and power features that many people find essential for their workflows. 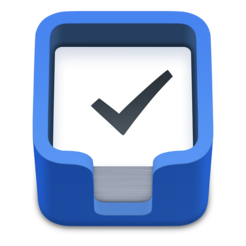 Things 3 (Mac/iPad/iPhone): now in version 3, this continues to be the most aesthetically pleasing task management app for Apple users. The recent redesign not only looks good, but it feels great as well. The subtle animations and clever keyboard navigation are top-notch. 2Do (Mac/iOS): another very solid and enjoyable option that is only for Apple users. Unlike other products, 2Do is developed and supported by a very small team. However, it sports a pleasing interface and offers a sweet spot for customization without being too fiddly. Todoist (Mac/iOS): the first cross-platform service included, Todoist is a very solid — and very popular — option. Although it started as a web-based service and is not focused solely on Apple users, its feature set and design are good enough that it makes the list. To be sure, there are plenty of other options. The productivity category of the Mac App Store is full — ridiculously so — but there is a lot to sift through, and not all of it is high quality. After a lot of deliberation, our choice for the best GTD product for Apple users is Things from the team at Cultured Code. The launch of Things 3 in 2017 was a complete rebuild, and it is one of the most pleasing and satisfying pieces of software I’ve ever used. 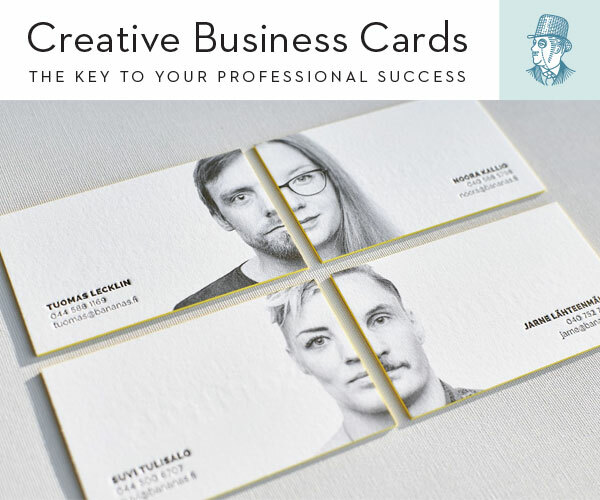 While not as customizable as some of the other options, Things is just so well-designed and hits enough of our criteria that it comes out as our top choice. However, this is a difficult choice to make. There are really no wrong choices here. While Things is our choice as the best option, you cannot go wrong with any of the contenders. OmniFocus is still a powerful tool that may fit better for those with more complex needs (aka, “power users”). While not quite as powerful as OmniFocus, 2Do offers more flexibility and options than Things wrapped in a nice interface. And Todoist is a very solid option that works well with a team and gives a consistent experience across devices. All that to say, whatever your preference, you’ll find a solution that fits for you, and Things 3 is the one we’d recommend before all others. While aesthetics were at the bottom of our list of criteria, the look and feel of Things 3 is so good that I want to start there. To be clear, the design of this app goes far beyond how it looks. Things has always been a pretty app, but Things 3 brought that aspect of being pleasing to another level. It still looks as sharp as can be, but it’s the feel that makes it stand out. A lot of apps use animations to add cues to their interface; Things makes it buttery smooth. Animations are tricky. When done right, they can add context, give subtle hints about what is possible, and add delight. Done wrong, they scream “gimmick” and corrode the user’s trust. Cultured Code nailed the balance between subtlety, utility, and delight with the interactions included in the latest version of Things. Things 3’s dark mode is one of the best dark modes available. You can select between a dark mode (which is more of an extremely dark grey mode — very soothing on the eyes at night) and a true black mode, designed specifically for the OLED displays on the latest iPhones. Usually I like true black themes (even on the iPad Pro), but Things’s regular dark mode is stunning. When we talk about the design, we should also include the navigation of the app itself. Any good Mac app includes keyboard shortcuts that enable the user to be more efficient. Things 3 nails this as well. Open the app and just start typing. Anywhere. Rather than force you to open the Quick Find modal, Things starts displaying search results when you type anywhere in the app that is not an input. Sure, Quick Find can be invoked with the standard CMD+F, but the designers of Things apparently ask the question of whether the user should have to take that step. Why not just show people what they need immediately? It’s this kind of careful consideration that makes the experience what it is. A pleasure! The rest of the application’s navigation is also good. One has to search to find a piece of functionality that is not available via the keyboard. In fact, Things 3’s keyboard support — especially on the iPad — is trailblazing. 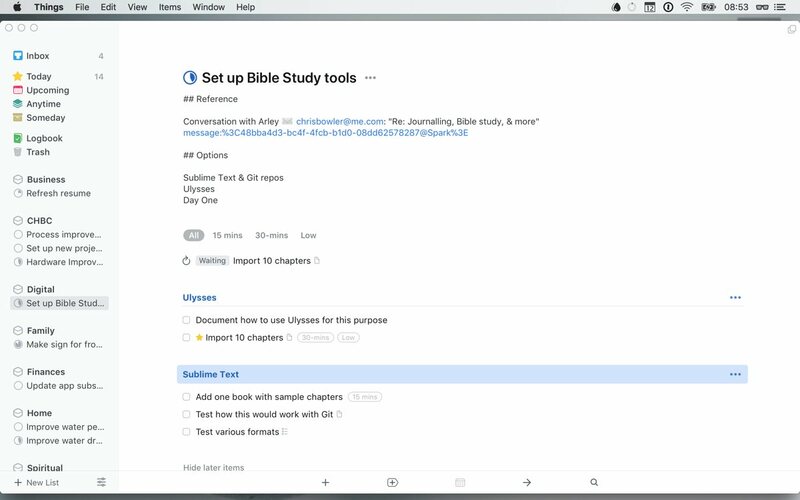 You can navigate the entire iPad app with the keyboard — jumping in and out of tasks and their notes, moving between projects, searching for specific tasks, and jumping between your Inbox, Today, or Upcoming views. Plus, these keyboard shortcuts are uniform across both iPad and the Mac, meaning you don’t have to develop special muscle memory for each device you use. On many occasions, I’ve been left wishing Things’s keyboard shortcut support would become the default for all other apps I use on my iPad. When I first gave Things 3 a look, this is the feature that sold me. A long time ago, Things was my first task management tool as a new Mac user, but with the slow development times at Cultured Code and a lack of sync support, I made a move to OmniFocus. For the better part of 5 years, I never gave Things any further consideration. And indeed, a project in Things feels very much like a blank document rather than a rigid checklist. There is space for notes and reference information that does not feel like a simple free-form text field that is a second-class citizen in the apps UI. Things, as well as many of the apps in this space, do a good job of making it easy to get stuff into it. Using the Quick Entry dialog, you can quickly type a (customizable) shortcut and enter in a new task. Most task management apps offer this feature, but what I like about Things is, again, the usability. 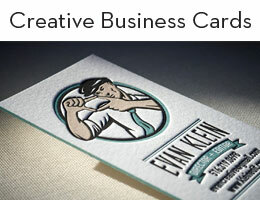 The form includes all the necessary fields, while also including excellent support for using just the keyboard. Even better, with the Things Helper, you can create tasks from a currently selected item in other apps. Using this, Things will include a link back to the original item. Using one master inbox for all your inputs becomes a lot more feasible with this type of functionality. On iPhone and iPad, Things is increasingly supported by other third-party apps thanks to its behind-the-scenes URL scheme. 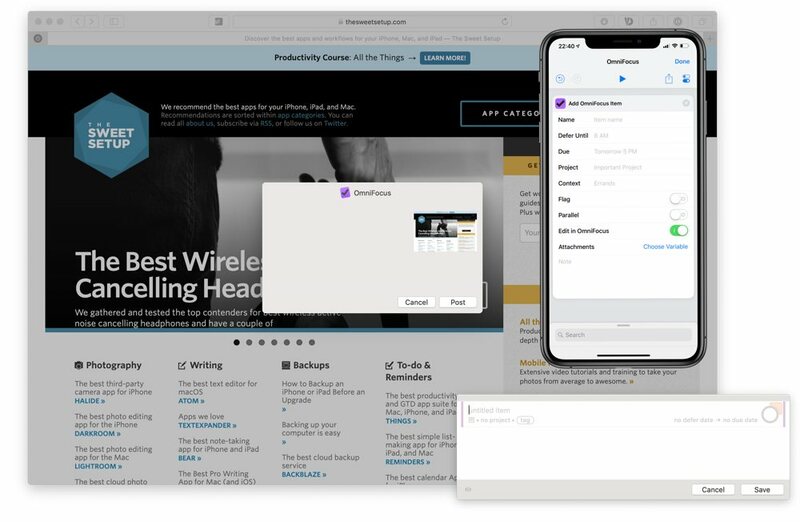 Our favorite email app for the Mac (and increasingly for iPhone and iPad as well) plays nicely with Things; inside Spark, you can simply swipe an email in your email list to send the entire email message (or just a link) to your Things inbox so you can act on the email as though it were a task. One of the aspects of Things that has always been important is how it structures the tasks that make up your life. At the highest level, it uses GTD’s Areas of Responsibility. That allows you to structure your projects, tasks, and checklists according to the various roles you play (project managers, designers, and accountants, but parents, volunteers, coaches as well). 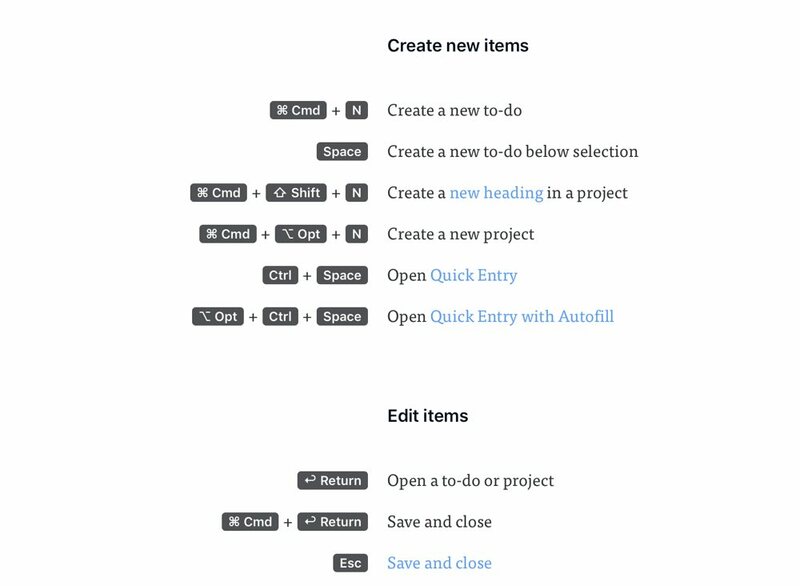 It’s possible to set up a similar structure in other task management tools, but I’ve always appreciated the treatment given to areas in Things. It even gets its own icon! This approach to the foundational structure in Things makes it easy to focus on one area at a time. So if you’re at work and don’t care to see your chores around the house, you can view a specific area with all its contained projects and miscellaneous tasks. Further down the structure, each project is also given a nice visual treatment. Again, this concept of a blank document works well. A project can include notes at the top of the “document,” and then you can include its tasks, sub-tasks, and headings. This allows you to include any background information or reference materials required at the top of the project. From there, you create the tasks required to complete the project. If your project has specific categories of tasks or is broken into segments, Things lets you create headers to add structure to the project itself. Further, each task can include notes or documentation, and tasks can be recurring or include a checklist. Add it all up, and you get this beautiful document of what needs to be done. You can set this view up to sit on the side of your screen as you plug away. Another aspect of Things 3 that I admire is the consideration of how to use time. Yes, you can assign a due date for tasks or projects, but you can also specify a time when you want to work on your tasks (but they are not necessarily due). This is how you add items to Today. What’s great here is that this separates intention from deadlines. This implementation in Things is very well thought out. If I have a task I want to complete tomorrow, I set that value in the task itself (all from the keyboard, mind you). But, if a fire breaks out tomorrow and I’m unable to get to this task, it simply rolls over to the next day. Most other task managers would treat this as an overdue item and give you a glaring read badge. Things just shrugs its shoulders and lets you get to it when you’re ready. This is a far friendlier way of allowing you to address intention when managing your tasks. Due dates are still there for when needed. For me, hard due dates are rare, so the more relaxed approach to time in Things is welcome. Most task managers give you the option to use tags. In 2017, tags feel a little like Linux — we’re always waiting for them to get the attention they deserve. Yet I (and believe many other Apple users) never seem to get around to using them. Not in the file system, and not in my main applications. However, I really like the way Things handles tags. Of course, adding a tag to a task or project is quite easy (like OmniFocus and our other contenders), but it’s the treatment of tags in the structure of Things that works so well. The basic structure of Things is as mentioned above. You create high-level Areas of Responsibility or high-level projects to Things. From there, areas can include multiple projects and tasks. In this way, Things operates a lot like folders on your file system. Tags are how you can view tasks across the different areas and projects in your life. You can view any given tag by using the high-level keyboard-based navigation. Simply start typing the name of a tag and then select it from the search modal. The result is a view that looks like a project. Except it can include tasks that are located in different projects, grouped by area. Since there is little ability to create custom views in Things (more on that below), this ability to view tags allows you the most flexibility. You can even filter your list of tagged tasks by other tags. So meta. Things is not perfect, and it’s not for everybody. Compared to some of the other options, a lot of people will find it too rigid. Whereas a tool like OmniFocus allows you to configure things in a myriad of ways, Things only gives you a minimal set of options. Nowhere is this more apparent than creating custom views. Where OmniFocus or 2Do allow you to build highly customized and specific views for your tasks, Things has almost no options at all. If you like to focus on one day at a time, the Today view is a good option. But if you want to look at all items set for Today that only apply to your job, then you’ll have to use tags in order show / hide sets of tasks. The same is true for viewing an entire area of your life. If you view an area that includes projects and single tasks, you cannot see all the tasks for the entire area. All tasks for a specific project can only be viewed by clicking into the project itself. Once you do that, you’re down a level and lose the high-level view. Apart from the lack of customization (which, I should add, some people would see as a positive feature), there are a few other missing features in Things. First, the lack of Markdown support or any other formatting is a bummer. The way Things treats your projects like a document is one of the biggest attractions of this app, so it’s surprising that there are no options for writing more readable content. How much more useful would the notes be if you could add headers, bold or italicize text, or even include file attachments? The best option I’m aware of is to use an app like Bear to store note attachments for each of your tasks. Tasks in an area or project are not connected to one another and there is no option to make them sequential: you tackle one at a time in any order. For projects that require tasks be completed in a specific order, this can be problematic (especially for teams). On that last note, there are no collaboration features of any kind. It’s task management for individuals. Again, there is no ability to attach a file to a task. Things does support URL schemes for macOS and iOS, but that usage must also be supported by the external app. So Mail.app will provide a link, but Ulysses does not. Files in Finder will include a link, but if that file is moved, the link is not updated. So the usage here is limited. Things does not support located-based features, such as reminders. All things considered, these are small items that do not take away enough from Things. It’s the most enjoyable way for Apple users to manage their work. Period. One last item to mention is the different versions of the product. Apple users in 2017 are people using more than one device. How does Things shape up on an iPad or iPhone compared to the desktop? That’s an important question to answer because of the multi-device reality of our day. Personally, I downsized to two devices over the last three years. Where I used to use all three options, I currently only use a phone and a laptop. And in my usage, Things is perfect. Where the desktop app allows me to see what I need as I go through my day and throw new stuff into the inbox for later processing, the iPhone app is a wonderful experience for planning. My morning or evening quiet times start with meditation and prayer but often end in review and planning. Things on my phone gives me a very nice view using Areas, Projects, and tags. And where the keyboard navigation is spot on in macOS, the touch-based navigation (and accompanying animations) on iOS are just as good. And so too is the support for drag and drop. Things is above all else a very smooth feeling app. Drag and drop in Things for iPad works a bit differently than in OmniFocus for iPad. 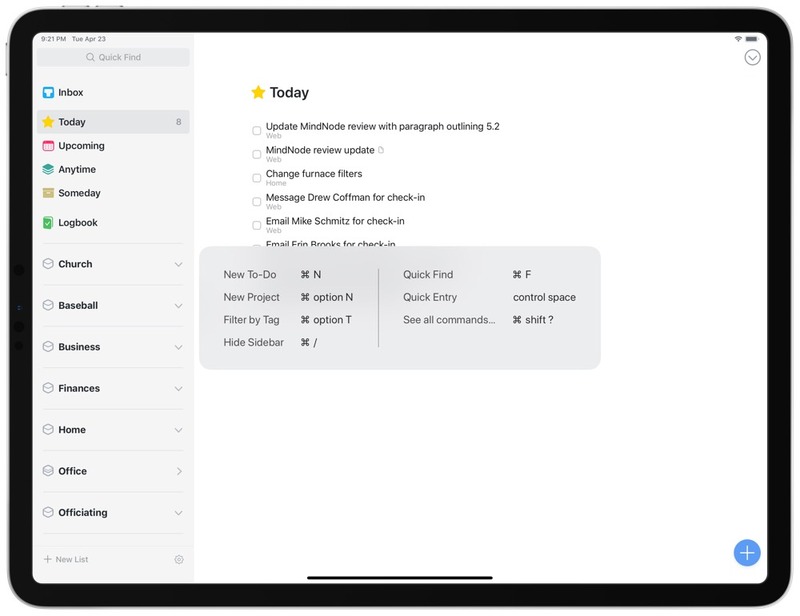 OmniFocus was one of the first iPad apps to support drag and drop, where you could drag multiple lines of text in from a notes app like Bear and each line becomes its own task. Things, however, takes the dragged text and inserts the text as a note inside a new task. Which method you prefer will really depend on how you work. It’s very easy to create project templates for OmniFocus that can be dragged and dropped in — simply type out each task as a new line inside a text document and save that document somewhere accessible on your iPad. Then, drag in your tasks and you have a pre-determined list of tasks. 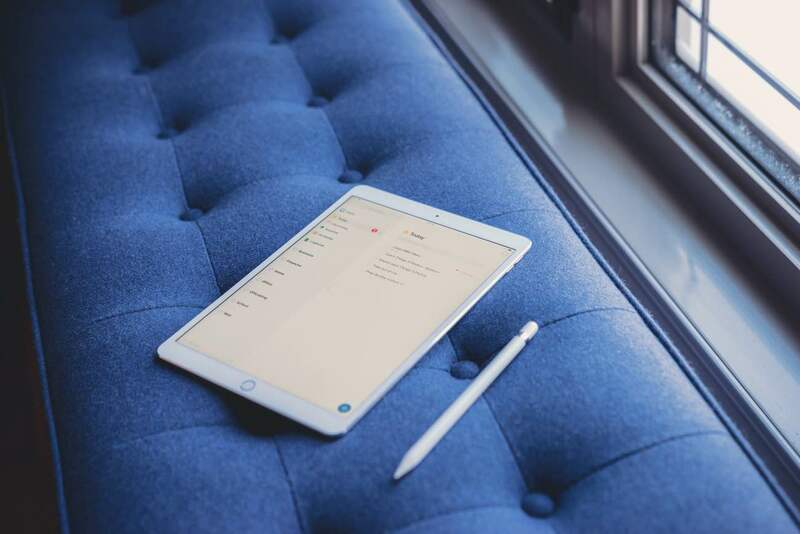 Things requires an extra step to create a task using drag and drop on the iPad, but the app assumes you’re bringing in background information from a different app and want to summarize that information as the task name. For those looking to use Things as an increasingly complex task manager, this may be the superior form of drag and drop implementation. As part of the upgrade to version 3, OmniFocus 3 has changed in many ways — and for the better. If you were using version 2, there have been very few changes that would force you to change your workflows and setups, but many ways you could likely enhance them. 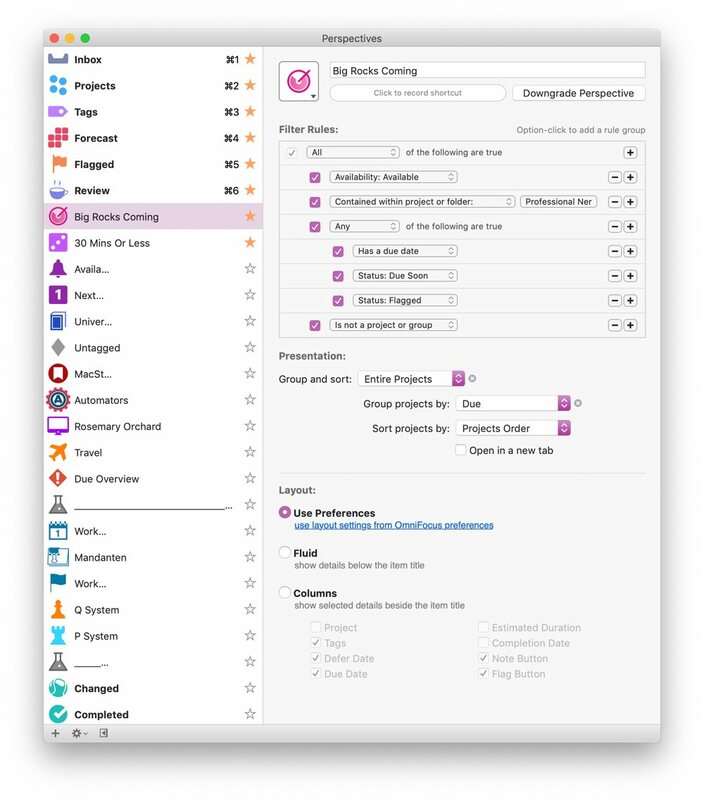 For those new to OmniFocus 3, it is the same, extremely powerful, task manager with even more flexibility than before. 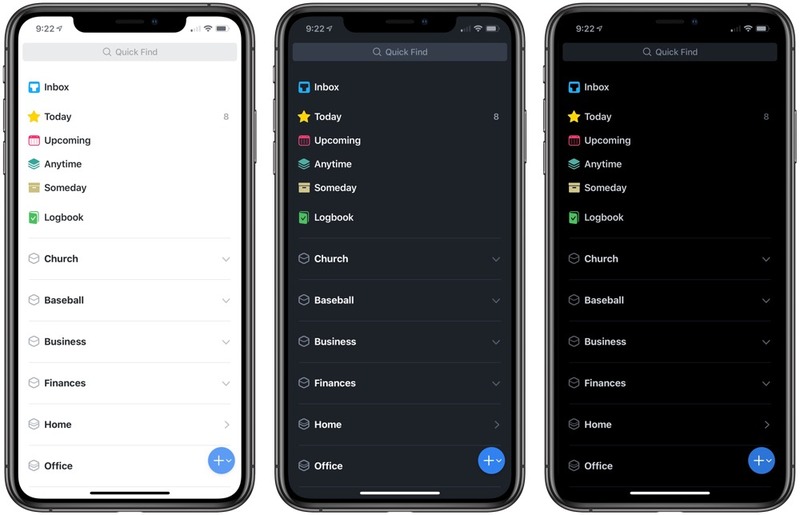 OmniFocus has many ways to capture tasks — from quick entry and services on the Mac, to the share sheet and 3D Touch on iOS — and of course you can use AppleScript, URL Schemes, and Shortcuts too. Naturally, there are also buttons to add new (inbox) tasks inside the app. With the customizable inspector on iOS, you can really set it up to meet your needs. 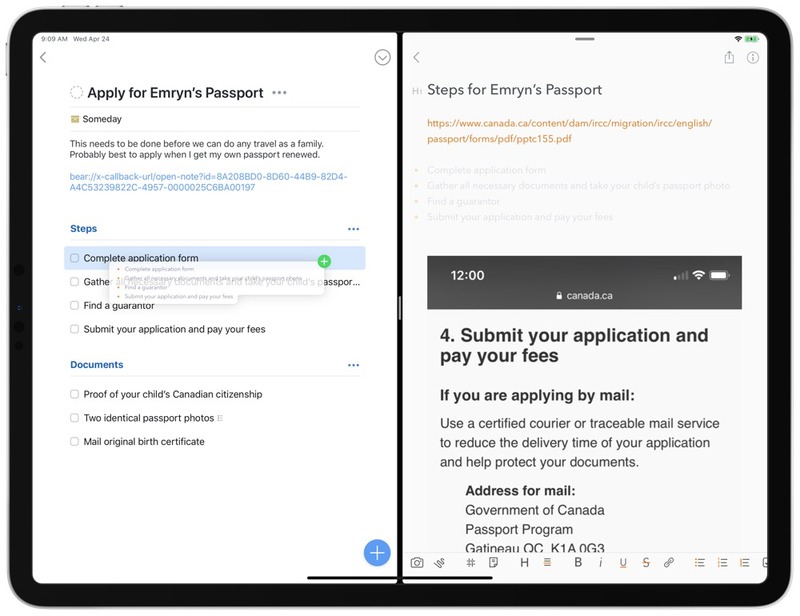 OmniFocus is also integrated into many other apps, which means you can easily capture from a whole host of applications including Drafts, Airmail, Spark, and more! 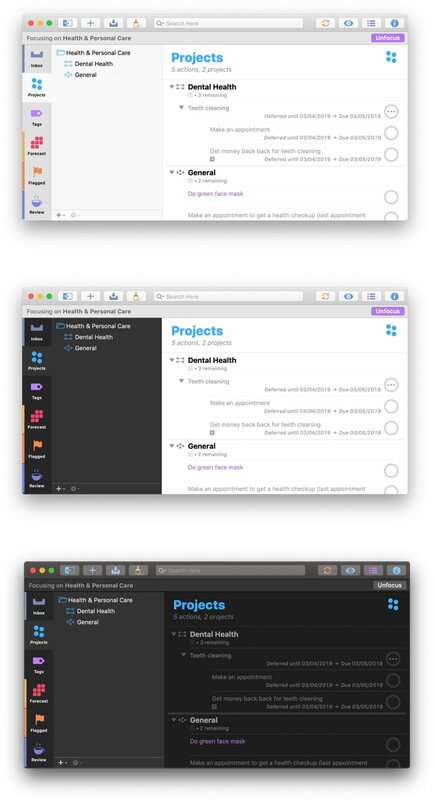 On the Mac, OmniFocus has a powerful quick capture window, allowing you to add one or more tasks, along with tags, dates, notes, and projects as you get on with your work. OmniFocus will let you configure your system however you like. 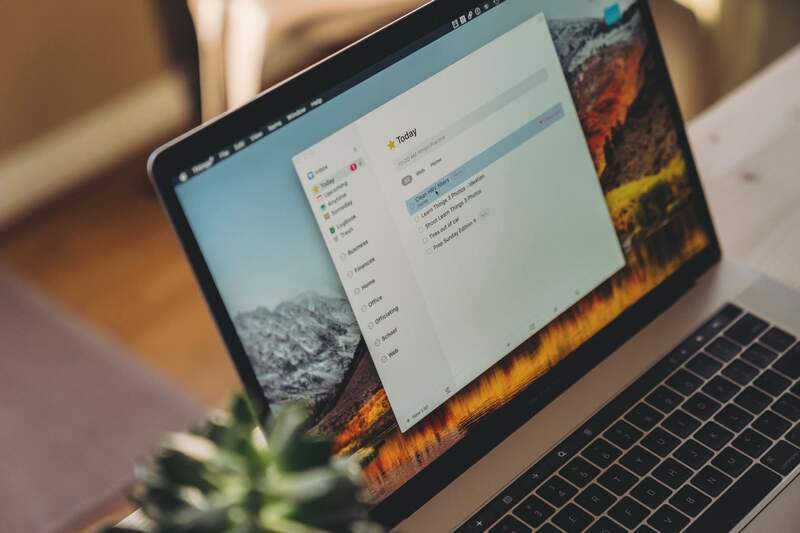 You can keep it simple with just a few projects as lists, or make it more granular with folders and setting your projects to parallel, sequential, or single action. One feature that sets OmniFocus apart from other task managers is infinite depth. A project contains actions, but by adding sub-tasks to those (which can also contain sub tasks, and so on) you can create a very complex hierarchy of tasks should you need it. One of the headline features for OmniFocus 3 is tags. Every task and project can have an unlimited number of tags assigned to it, giving you a very flexible way to view your tasks as needed. Tags can also have a status such as on hold, which is ideal for a dependent task, or dropped if those tasks should all disappear. Tags can also be nested so you can have People as a main tag and Josh, David, and Michaela inside of People if you want. Tags are useful on their own by letting you see all the things you’re waiting on, or all the things Josh is tagged on, but you can combine this and more with custom perspectives. Hand in hand with the tags comes perspectives. After all, what good does it do to categorize your tasks if you can’t find them? Custom perspectives are a pro feature in OmniFocus, but they’re most definitely worth it. You can craft a series of rules and nest them if necessary. This lets you view a list of all of your available projects ordered by due date, or tasks tagged with errand but not supermarket. You can also set custom icons and colors for each perspective, allowing you to represent your tasks in an iconic fashion. As perspectives can be starred to show in the sidebar on macOS, or added to the toolbar, these icons make sense. On iOS, the perspectives are shown in the home area of the app, so they’re at most one long press on the back button away from wherever you are in the app. Notifications are an important part of every task management system, and OmniFocus has lots of choices for notifications. You can set it to notify you by default for all defer dates and/or due dates of tasks, and also modify these on a per task basis. 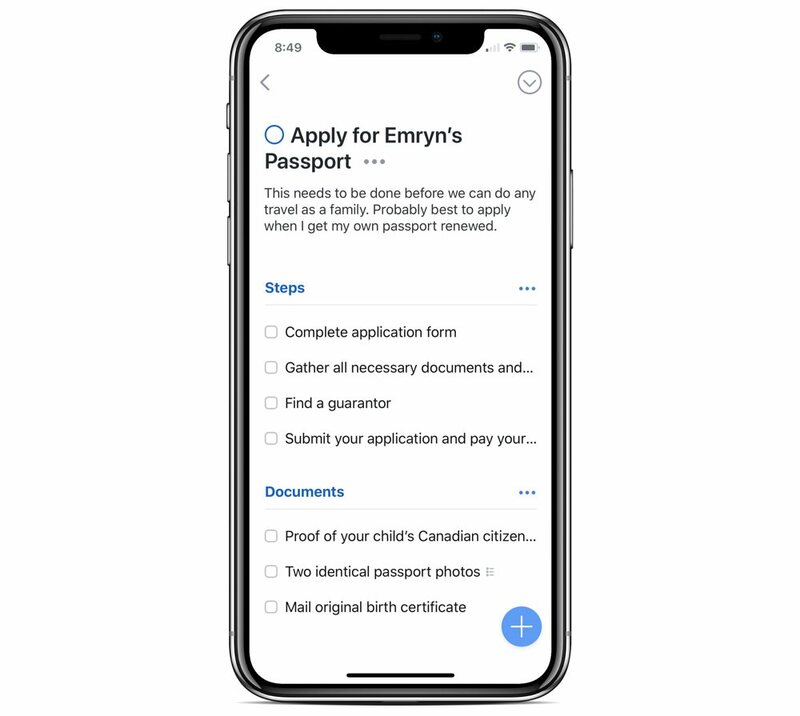 On top of this, for each task you can add extra notifications such as Latest Start, so if you have an estimated time set for a task it will notify you that amount of time before the due date to get it done. You can add notifications relative to the due date of a task, so if you want a heads up two days before something is due you can have that happen without needing to set a fake due date — and if you use this with a repeating task, those notifications will repeat with each instance of it. The last option is for completely custom notifications at fixed times and dates. This is extremely useful for projects that have a due date far enough away in the future where you might forget about it, and you want a reminder to work on a particular action on a specific date without setting a fake due date. While you can use notifications at specific dates and times on repeating tasks or projects, they will disappear in the next repeat. Review is ingrained into Getting Things Done with the idea being that you should review all of your active projects on a regular basis, typically weekly. OmniFocus has the review feature built in, and by default projects come up for review weekly. Review doesn’t have notifications nor does it prod you or force you to do it, so if you don’t need review you can ignore it entirely. On the Mac, you just see a little colored stripe next to the review perspective in the sidebar if one or more project is due for review, and on iOS you see how many items are in the Review perspective. On the Mac, you can un-star it to remove it from the sidebar, and on iOS you can move it right to the bottom of all of your other perspectives. Reviewing a project is simple. You’re presented with the whole project and all remaining actions. At this point you can add any other actions that come to mind, complete any you have done, and delete those you won’t do — as well as add or modify due and defer dates and tags. From the project inspector, both in the review mode and everywhere else, you can modify the review frequency. This means for some projects you can set them to come up once a year for review, others once a month, and some even as often as every day. Once you’ve completed your review, you mark the project as reviewed, and it will disappear from the review section until the next time it should show up. You can also use the pro feature, Focus, on the Mac to restrict what you see in the review section. This is really useful for those of us who like to use one system to manage both personal and professional obligations. You can select folders, or a range of projects, focus on them, then go to the review section and only the subset of that selection which is eligible for review will appear. Looks aren’t everything, and, perhaps more importantly, what makes an app look good varies from person to person. I am not a fan of massive amounts of whitespace in a productivity app. I prefer to have as many tasks, projects, and other information displayed as possible. I feel that OmniFocus strikes a nice balance between showing you all of the information you need, whilst not overwhelming you. With version 3, OmniGroup removed the fiddly custom theming in favor of being able to offer light and dark themes that can switch automatically with the system colors on macOS Mojave. Inside of the light theme, you can also choose to have a dark sidebar, which naturally focuses your eyes on the tasks in the outline area. There are two sections of the sidebar: the perspective icons that are always visible (and you can choose which perspectives, including the defaults, to show) and the second area offers more information, such as lists of projects, tasks, or a calendar view in Forecast. If you choose, you can collapse the sidebar. 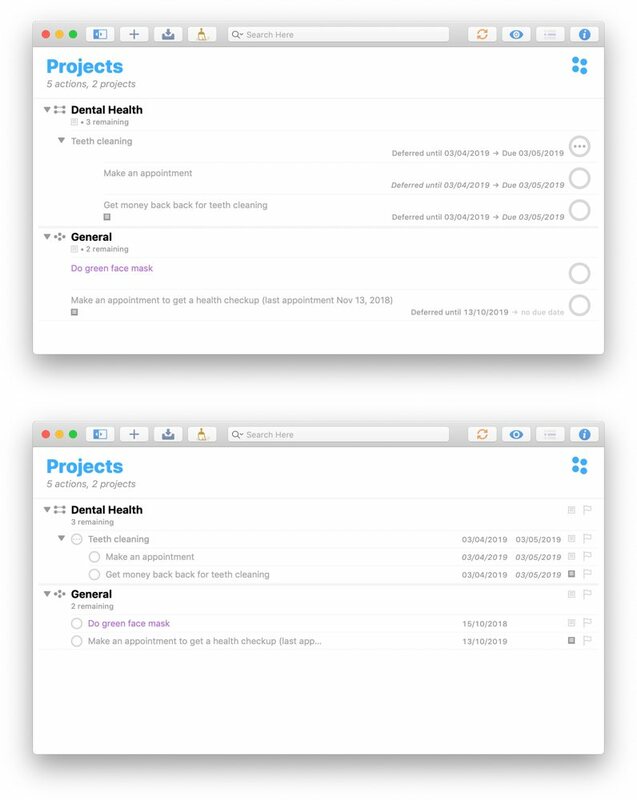 In the center, you have the outline view, where your folders, projects, and tasks are shown. Pro licence owners can set this to show these items with either column view or the default fluid view which is reminiscent of iOS. On the right, you have the inspector, which allows you to edit whichever items you have selected. OmniFocus for iOS looks somewhat different depending on if you’re using an iPhone or iPad. The former is limited to a single view at a time — be that the home menu, the outline, or the inspector. On iPad, you can see all three at once in full-screen landscape mode, or unpin the menu and the inspector if you want just the outline view with your tasks and projects. If you just need a place to store your projects and tasks, but want a little more customization than Things offers, there are a few other options to check out as well. 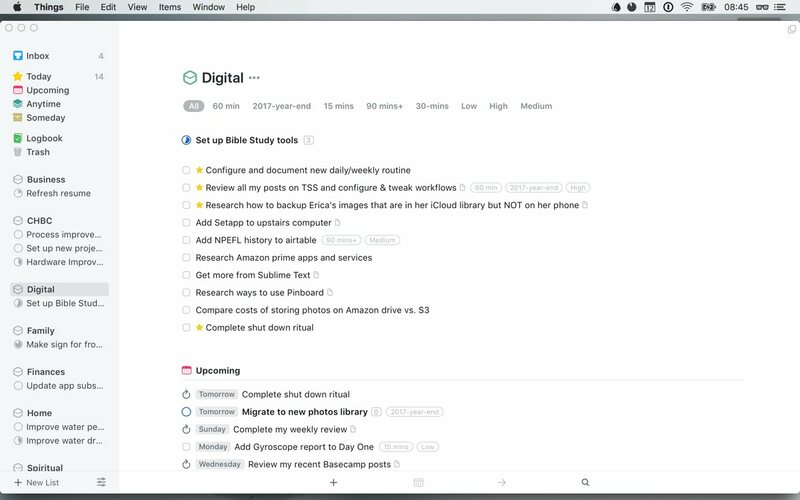 Todoist is a major player in the GTD arena and is the only major player to be available on macOS, Windows, iOS, Chrome, and Android. 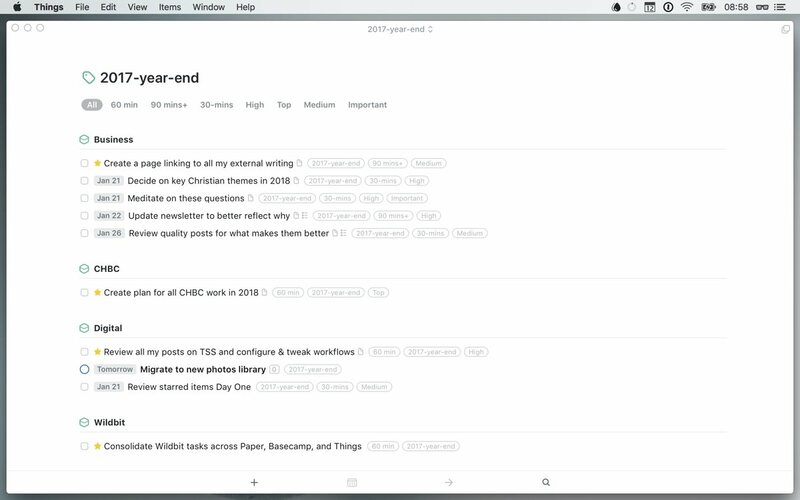 Todoist is one of the fastest GTD apps as well, as it includes natural language parsing for quick input of tasks. 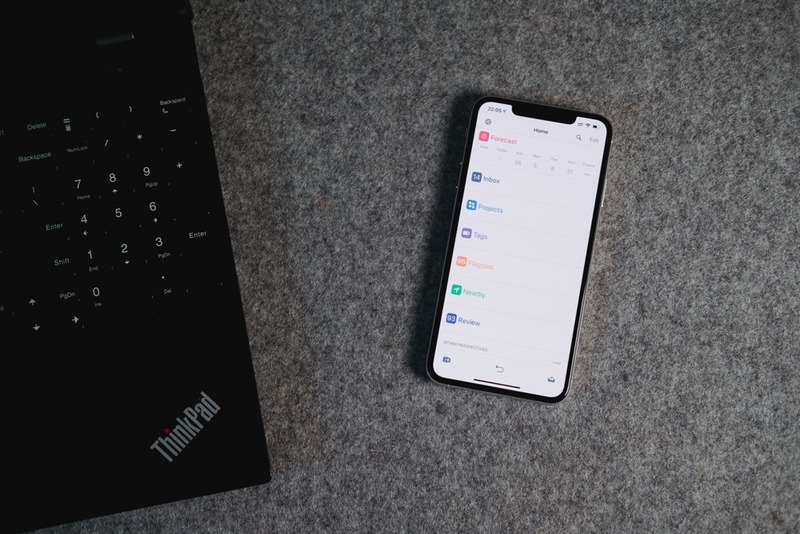 Todoist has been designed to work with many automation and integration services, including (but not limited to) Dropbox, Google Maps, Workflow, Zapier, a range of email clients, and 1Password. And lastly, we love how the Karma system works to keep you motivated and completing tasks throughout the year (not to mention the incredible report Todoist generates and sends you when the clock strikes midnight on December 31st). 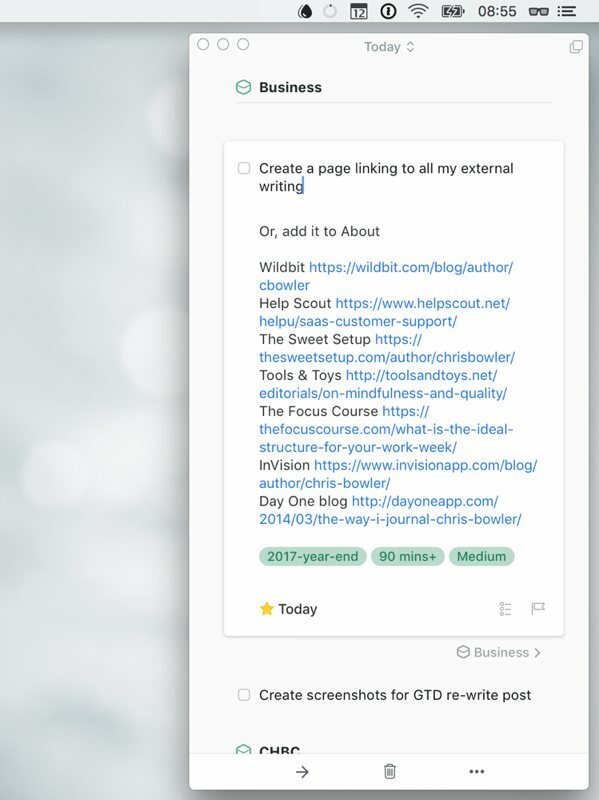 Where we feel Todoist falls short is in its design and its differing approach to making your GTD list feel more human. 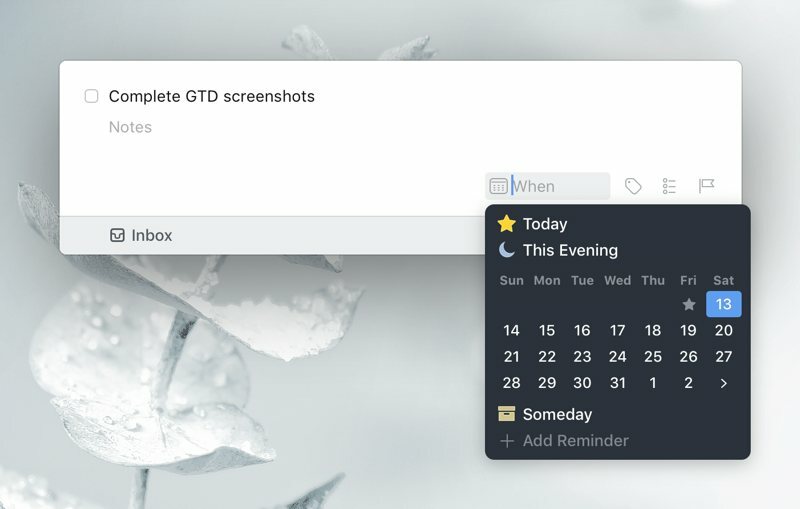 Todoist doesn’t offer the same design chops as Things 3, nor does it provide a view of your calendar. Further, Todoist uses differing levels of priorities to differentiate tasks, while Things chooses to split your tasks into “Today” and “Evening” groups instead. While you can emulate these views in Todoist through the use of custom filters, it’s not nearly as intuitive as the beautiful execution in Things. Like Things, 2Do sports a more pleasing interface than OmniFocus or Todoist. But where Things is more simplistic and includes carefully considered constraints, 2Do offers the ability to tweak what you see in the app and how you use it. It’s similar to OmniFocus in that regard, but with a nicer looking UI. If OmniFocus is the second choice for the power users, 2Do is the second best choice for everyone else. 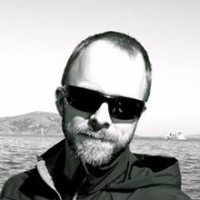 Sometimes I imagine going back in time to visit the 2007 version of myself and showing off the task management software of 2019. What a stark difference! No matter your method of productivity, Apple users can find a service that fits their tastes. Things is currently the best of the bunch and we’re happy to recommend it. Two or three years from now? Who knows, but we’re looking forward to seeing what the amazing community of developers can do by then.